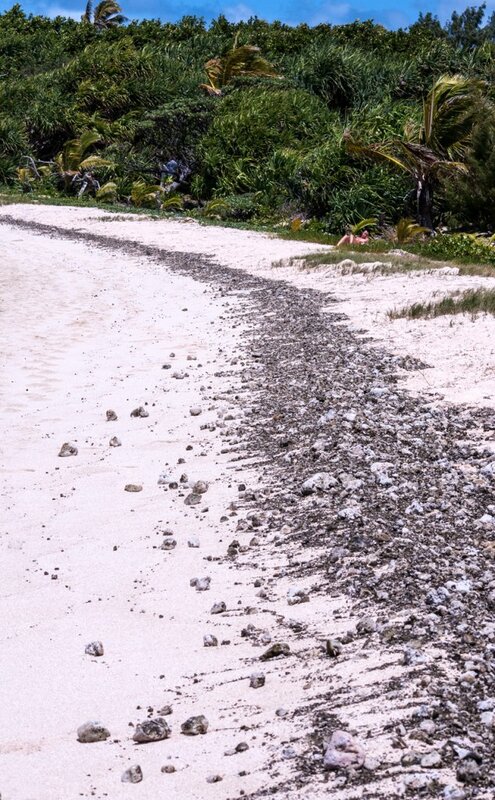 The line of pebbles is actually small pieces of pumice stone which washes up with tide. 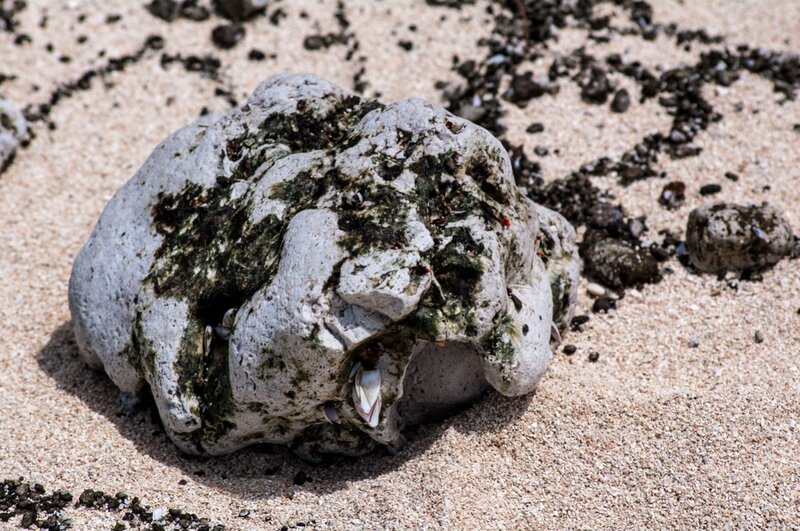 A large and heavy looking rock, which is a piece of pumice which floats when tossed into the water. Beach combers. You can walk around the entire island in under one hour, even allowing time for photographs. Of course not every one walks. 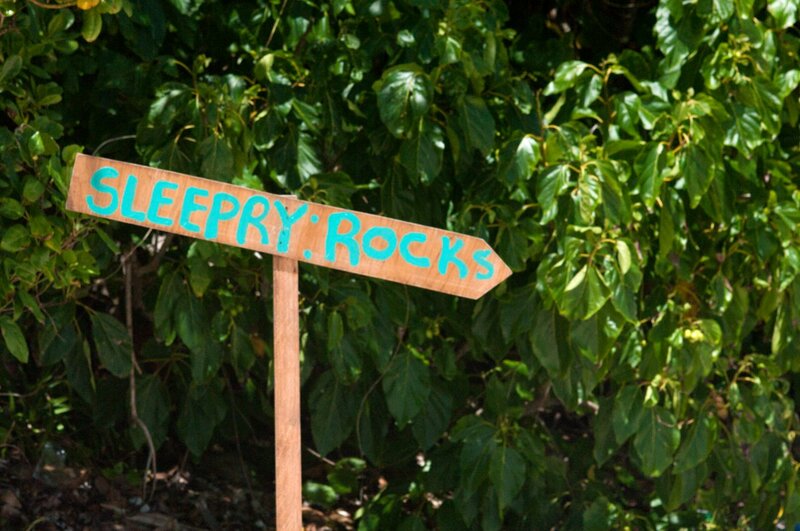 One has to be careful, the rocks this way are very sleepery. A clump of Pandanus or Breadfruit trees. 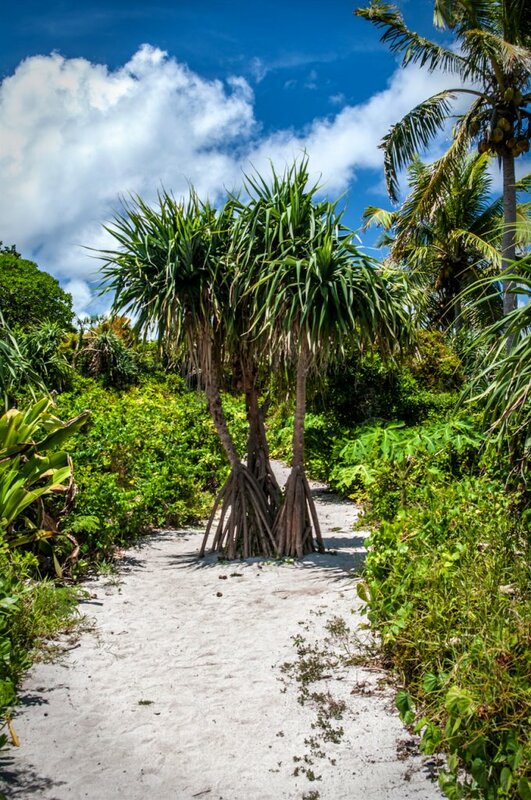 Somehow these conjure up images of walking trees from "The day of the Triffids" This trio is taking a leisurely stroll to the beach. A view of the airstrip. 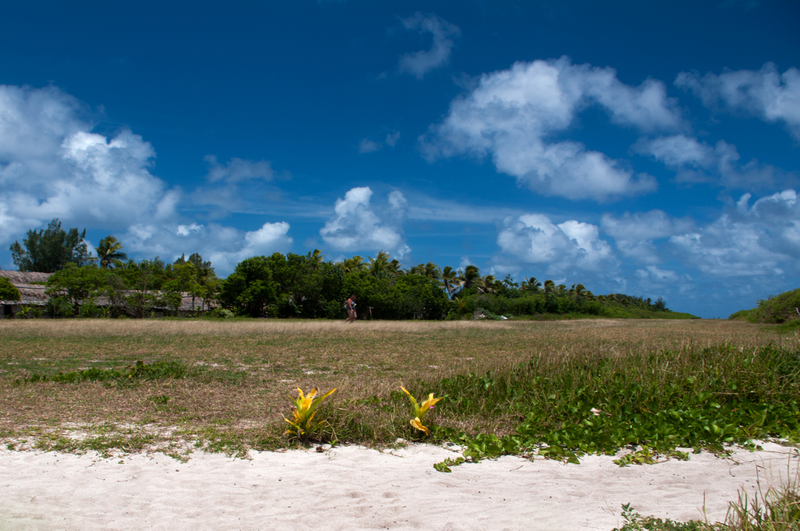 Now the airstrip is roughly 640 metres long and the island is just over 700 metres long with about 10 metres maximum elevation. Not much room for error. Yep that is the beach in the foreground. One small point, pandanus is not a breadfruit tree. In Hawaii, they make hats from pandanus leaves. 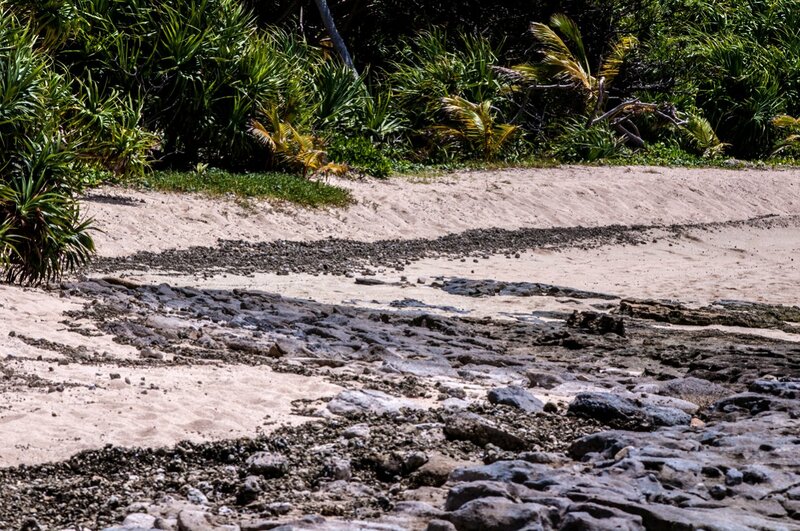 wonderful photos Bruce, you found a true "paradise island". Thanks for the narrative, very interesting.